Miner One Takes Bitcoin to 35,000 and Beyond! With bitcoin’s drop from last year’s highs, it’s no surprise that popular enthusiasm for the cryptocurrency has dimmed. Not here at Miner One. Like many experts, we remain bullish on bitcoin for 2018. So bullish, in fact, that we are taking it to 35,000 and beyond! “Space Miner One” — high-altitude balloon and capsule — will ascend more than 35,000 meters into the Earth’s upper stratosphere this week. 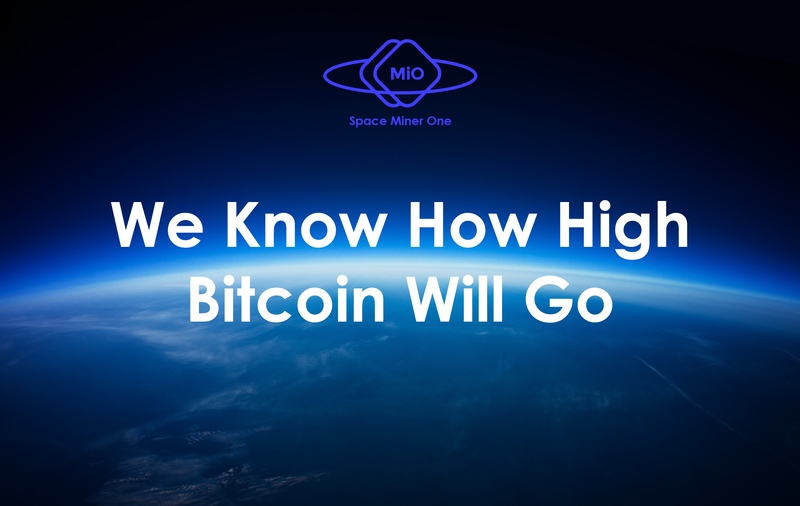 Space Miner One is outfitted with a specially-assembled equipment bundle that will perform the data processing operations known as “bitcoin mining”. Click here for full details of the journey. In the middle of what feels like a slump, Miner One wants to remind people that bitcoin and cryptocurrency in general is really about the future and the revolutionary technology at its heart: so-called blockchain technology. And that is not going away. “We are bullish on bitcoin because it remains the world’s most popular and proven application of blockchain technology. And we see growing interest and adoption, despite recent market doldrums,” says Miner One CEO Pranas Slusnys. Wall Street analyst Thomas Lee, head of research at Fundstrat Global Advisors, is similarly bullish. He recently told CNBC he believes bitcoin will rebound and surpass $20,000 by mid-year. A Miner One survey of more than 1,500 community members shows they, too, are optimistic. More than 31% believe bitcoin will go higher than $15,000 this year, 26% say higher than $25,000, and 10% — higher than $35,000. Almost 9% think it will go above $45,000! Only 2.5% think it won’t exceed $5,000, 5% think it will go no higher than $10,000, and 15% — no higher than $15,000. And with a mini bitcoin rally in progress, Slusnys is no less optimistic about the prospects for mining bitcoin — albeit with professional efficiency. Industry experts are already predicting that blockchain technology will fundamentally change the way data is processed and stored around the world, making transactions simpler, cheaper, and harder to disrupt in everything from real estate and automobiles to produce, gemstones, and, of course, currency. Companies like Miner One will take the technology to a new, more efficient level. During its ICO, currently in progress, Miner One is expecting to raise approximately $10 million to build a cutting-edge cryptocurrency mining centre and share the benefits with Miner One MIO Token Holders.